Talalay Latex has been called “earth’s most perfect sleep material.” Natural latex is extracted from the rubber tree and processed using natural biodegradable ingredients that come from renewable sources. In addition to being a particularly safe and inherently hypoallergenic material, latex is one of the most desirable sleep materials because it delivers a unique buoyant quality that relaxes muscles and relieves tension, lifting away the pressures of the day while you sleep. Talalay Global latex products are manufactured with pride in Shelton, Connecticut and used predominantly in latex products sold by Brooklyn Bedding. Brooklyn Bedding manufactures all of its mattresses in its wholly owned factory in Phoenix, Arizona. Talalay latex mattresses offer exceptional pressure point relief—in a natural way. The unique buoyant quality of latex relaxes your muscles and relieves tension, lifting away the pressures of the day as you sleep. Latex is often preferred by those who want superior contouring without the more sinkable quality of memory foam. Talalay latex has a breathable design and cell structure that creates a temperature neutral environment—delivering 228 percent more airflow than other latex foams for a cooler, more comfortable night’s sleep. Latex is well known for its natural resilience, which allows the foam to instantly return to its original shape after compression. Talalay Global latex ensures the longevity of nature by stringently and repeatedly simulating the body impression effect on foam that can come from extended periods of sleep. It similarly tests its foams for the softening effects that can occur when a person continuously gets in and out of bed. The result is exceptional durability: Talalay latex cores will not break down or dip excessively over time. Talalay latex is ideal for people with allergies and asthma. It is naturally mold, mildew and dust mite resistant and is inherently antibacterial and antifungal. The Talalay process features natural, biodegradable ingredients that come from renewable resources and raw materials: natural latex, air and water. The rubber trees are safeguarded in the latex harvesting process—and they remain productive for 25 years, absorbing carbon dioxide from the atmosphere and helping to reduce greenhouse gases. The Talalay latex used by Brooklyn Bedding is certified as Oeko-Tex Class I, the highest rating possible. This certification verifies that each latex product is free from harmful substances and is safe. Very few latex or foam producers in the world meet the standards of this independent, third-party certification. Talalay Global is the only manufacturer to ILD test every core in 9 locations. This translates into the most consistent latex on the market. Talalay doesn’t off gas like synthetic foam or polyurethane. A “new bed smell” may be present when the latex first arrives, but no harmful chemicals are being released: Talalay is made of only natural ingredients. Yes. In addition to Talalay latex’s Oeko-Tex Class I certification, Talalay Global is the only manufacturer to wash every core in a 5-cycle washing system. This process removes residual soaps and compounding agents that, if left in the process, can cause premature body sets, odor issues and potential allergic reactions. Talalay Latex and Dunlop Latex? More breathable than Dunlop or other foams. The Talalay Latex Process creates a round cell structure. Because it is vulcanized it is the most resilient material available in a mattress. Our eco-friendly process uses natural, biodegradable ingredients that come from renewable resources, including natural latex that is sustainably extracted from rubber trees. Talalay Latex is the same feel as the top, middle and bottom. Talalay Global's latex is Oeko-Tex Class 1 certified safe. shopping for a latex mattress? Shoppers interested in buying a latex mattress should first explore all the comfort and support options available. 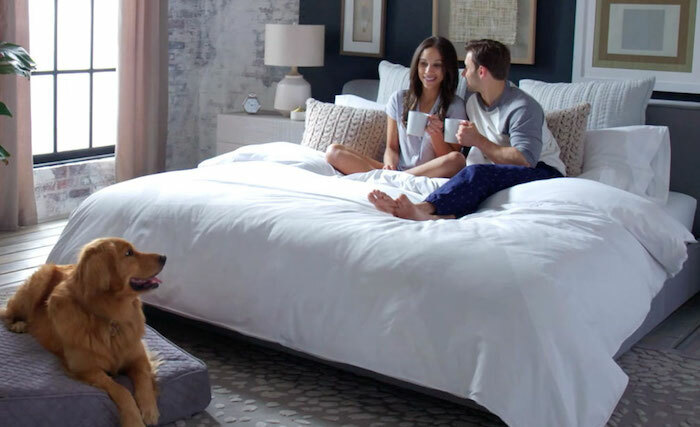 Some sleepers prefer an all-latex mattress, like the Bloom by Brooklyn Bedding, which delivers ultimate, natural comfort by combining a top contouring layer of Talalay latex with a firmer core of the same material for deep compression support. Every foam layer in a total Talalay latex bed is Oeko-Tex Class-1 certified, proven to be safe and naturally hypoallergenic as well as naturally breathable. Alternatively, a combination of Talalay latex and individually pocketed springs is available in the Bloom Hybrid by Brooklyn Bedding. The hybrid version pairs all the key attributes of latex with the targeted pressure point relief and decreased motion transfer of individually encased coils. Coils featured in the Bloom Hybrid are recyclable, contributing to the environmentally friendly properties of the mattress. A latex hybrid is often less expensive than an all-latex mattress due to the difference in cost of raw materials. Many latex mattress manufacturers offer latex mattresses in a choice of comfort levels. 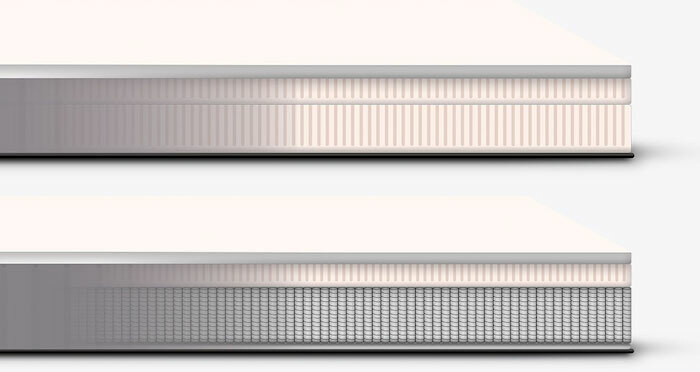 This gives you the ability to customize the sleep surface. While every sleeper is different, most will agree that the combined responsiveness and contouring of latex foam is perhaps the very best choice for those that suffer from chronic back pain, as long as you choose the right comfort level for your body type and sleep style. Firmness levels for most latex mattresses range widely from extra soft and soft to firm and extra firm. Talalay latex is developed with eight firmness levels, allowing for a true medium firmness sleep experience as well as soft and firm options. Foam mattresses generally offer more conforming support that either reduces or eliminates pressure point pain—areas like shoulders and hips that can be sources of morning aches and pains. Foam beds contour to the curves of the body without putting too much pressure on those critical areas. That noted, memory foam is considered a slow response foam, meaning that it may take a few seconds to return to its natural form after pressure is released. Meanwhile, latex foam is a fast-response material that immediately returns to its shape after weight is removed. Some sleepers prefer latex foam that gently relieves pressure points, but avoids the more quicksand feeling of memory foam. Natural latex is a liquid extracted from the Hevea-Brasilienis tree, better known as the rubber tree. This process closely resemebles the method used to tap maple trees for maple syrup. While it may take years for a rubber tree to grow enough to produce latex, each tree can yield liquid for up to 20 years. High quality, natural latex foam is highly breathable, resilient and durable. As its name suggests, synthetic latex is a synthetically produced compound. It is not harvested from rubber trees but is most commonly derived from styrene-butadiene rubber (SRB). SRB offers some of the same properties as natural latex. SRB manufacturing is less costly due to the simplification of production and the sourcing of some man-made materials. Synthetic additives are typically added to achieve stabilization. Blended latex foam is produced with a blend of natural and synthetic latex. Some manufacturers use blended latex, or combine a 100 percent top natural layer with a secondary synthetic layer to lower the overall price point of the mattress. The liquid latex formulation is poured into a mold and sealed closed. The liquid latex is flash frozen. Frozen latex is then flash-heated to a gel state to create a permanent solid foam. The Talalay latex is washed with a fresh water rinse for purity. The Talalay latex is cured. Each Talalay core is ILD tested in nine locations. These quality control measures and natural curation of raw materials account for the higher price of eco-friendly latex.